The TriByKnight Triathlon, now in its eighth year, was the first triathlon in the Waverly area and already is one of the most popular early season events in the region. This USAT-sanctioned sprint tri (300-yard swim, 15-mile bike, 3.1-mile run) is perfect for those just getting started in the sport. The event, staged on the Wartburg College campus, features a time-trial pool start in The Wartburg-Waverly Sports & Wellness Center’s state-of-the-art Schuldt Natatorium. Men weighing 220 pounds or more and women weighing 165 pounds or more are able, but not required, to participate in the Clydesdale and Athena divisions. To do so, you must indicate this group on your registration form. Entrants in this category are eligible for Clydesdale or Athena Division awards, but not age group awards. Relay Division: 2 to 3 person relay. Wartburg College and The W are centrally located between most of the major metropolitan areas in the Midwest in Waverly, Iowa, a community of 10,000 residents within the Cedar Valley metro area of about 150,000 people. Click here for directions. 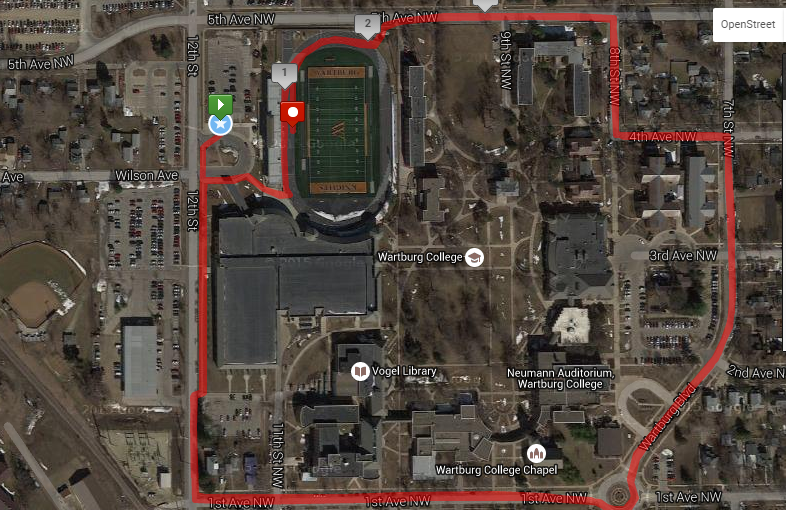 Parking is available for athletes and spectators in Wartburg College lots O, A, L, and F. Click here for a campus map. Locker rooms (showers/restrooms) will be available before and after the event. Please check in at The W Welcome Desk for directions. Chips will be distributed at check-in on the morning of the event. Timing chips are non-transferable! Be careful not to switch your timing chip with other participants. The timing chip must be worn on your ankle at all times or you will not be scored in the event. If you wear it on your wrist, on your bike, in your pocket, etc., you will not be scored. Team participants only are allowed to pass their timing chips in transition. Your timing chip will be removed by volunteers once you have crossed the finish line. Be sure your chip is turned in at that time or before you leave the race. Failure to return a chip will result in a $30 replacement fee charge. 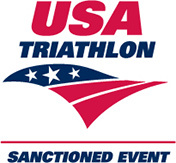 All participants must wear an ANSI-certified bike helmet or a helmet otherwise approved by USAT-competitive rules. Handlebar ends must be solidly plugged in before a bike will be allowed to exit the transition area. Per USAT rules, ear buds and headphones are NOT ALLOWED on the course during the race. We need motivated volunteers to put on a memorable race! Please contact us if you are interested in volunteering. 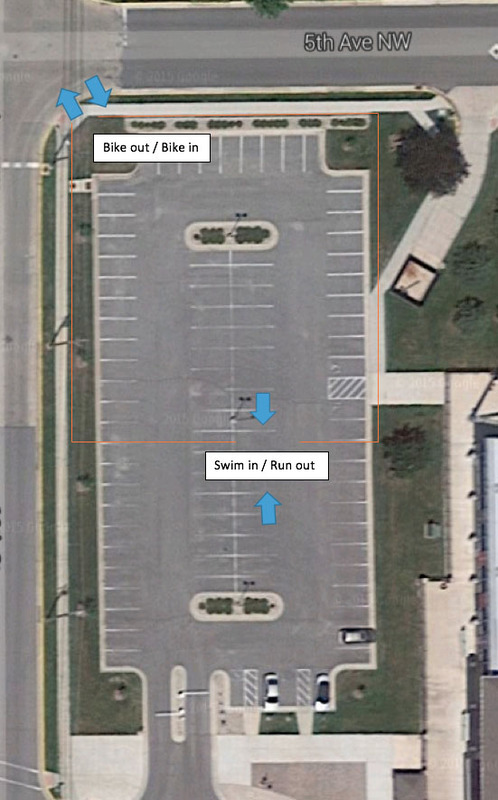 Setup – Help set up the swim, bike, and run courses, as well as the finish line, transition, and registration areas. Parking – Direct traffic to the designated parking areas. Bike Course – Direct athletes and watch for traffic. Run Course – Direct athletes and watch for traffic. 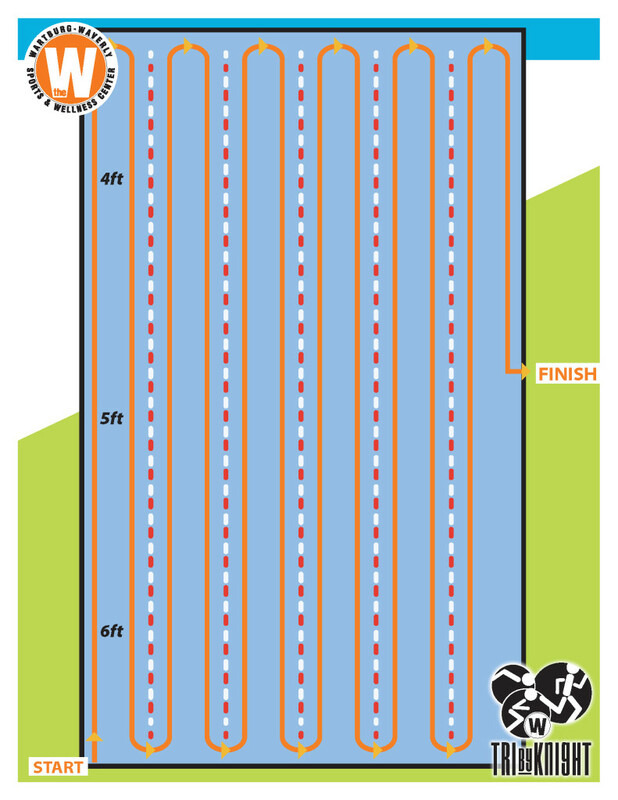 Transition Area – Restrict entrance to athletes only. Aid Stations – Hand out water to athletes. Tear Down – Help tear down the courses when the race is complete. Photographers – Capture the memories of our event. To volunteer, contact Heather at heather.zajicek@wartburg.edu. The top three overall male and female finishers and the top three finishers in each of the other categories for sprint distances (Age Group, Clydesdale, Athena, Relay Team) will receive an award. Award ceremonies will start at noon in Walston-Hoover Stadium. Packet pickup will take place Friday, May 3, from 4 to 7 p.m. at Thompson’s Shoes and Saturday, May 4, from 6:30 to 8 a.m. inside The W. Athletes must pick up their own packets, at which time they will be required to show a photo ID and their USAT membership card (if applicable). This applies to individual relay team members, as well. The TriByKnight is sanctioned by USA Triathlon (USAT). Race participants are required to be annual members of or have a one-day permit from USAT. The $12 USAT one-day permit fee will be added to nonmembers’ entry fees prior to check-out. USAT members must present their USAT membership card and photo ID at packet pickup. Event Cancellation: Please check the Facebook page on race day for updates if you suspect delays or cancellation due to inclement weather (i.e. lightning). Refund Policy: Registration is neither refundable nor transferable. The swim will be a 300-yard, serpentine swim in The W pool. Each swimmer will swim up and down each lane. Athletes may push off the wall and use flip turns. The start of the swim will begin in the pool. The swim will be a time-trial start based on the swim time that the athlete provides. To pass another swimmer, simply tap on their foot and pass them. If you are tapped, you must allow the person behind you to pass. To exit the swim you will turn to your left by the spa and swim over to the steps. Swimmers will line up according to swim time. Please time yourself at 300 yards before the race so that you can estimate an accurate time. If you estimate your time too fast or too slow, it will hurt your overall time and the others around you. Your best time will come if you do not pass or get passed. 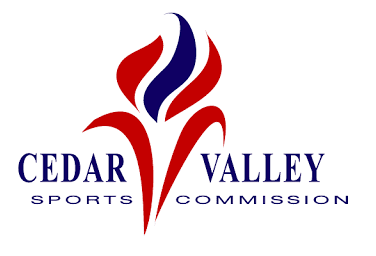 We reserve the right to remove athletes from the pool and re-start them if needed. The transition area will be on the north side of The W by the main entrance in parking lot M, while the finish line will be on the track in front of the bleachers by the inflatable finish line. A bike shop will be available for those last-minute bike issues. The bike out and in will be located on the north side, and the run out will be on the south side. Transition space will be assigned by bib number. Please rack your bike by its seat with the location number showing on the side where your wheel is down. Set up your gear next to your front tire. The 15-mile bike ride will be a loop course. You will start and finish at The W. The course gently rolls out into scenic and friendly Midwest farm country. Roads will be open to traffic, but volunteers and law enforcement will assist with traffic direction. The run course is a 5K run consisting of three loops. 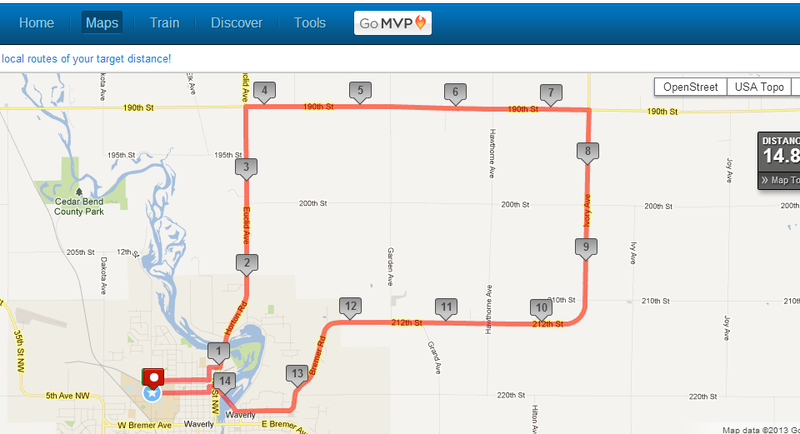 Each loop includes a short run on the track and finishes at the 50-yard line in Walston-Hoover Stadium. There will be one aid station on the west side of the stadium. Water and Gatorade will be provided.